Take a ride in Ford's ultimate expression of pre-recession excess. Early 2007 was a weird time. Flip phones with full keyboards were all the rage, AXE body spray was still a socially-acceptable choice, and America obsessed over Britney Spears shaving her head—all while the largest financial crisis since the Great Depression was roiling under the surface. That dichotomy is on full display in this 2008 Ford Expedition Funkmaster Flex Edition, a real model sold by Ford in the months before the economy fell off a cliff, and a car that can now be yours for just $20,900. A small price to pay for time travel, if you ask me. To capitalize on popularity of MTV's Pimp My Ride (yo dawg), Ford decided to hook up with legendary New York DJ and rapper Funkmaster Flex in 2005 and set him loose on a Fusion and an F-150 for that year's SEMA. The results were ... very red, with big wheels and the musician's giant "FMF" monogram stamped across the top of the windshield. Frankly, they're a great yardstick to measure just how far tastes have evolved in under fifteen years. Apparently someone at Ford was a fan, because the company brought him back for the 2006 show to customize one of their all-new 2007 Expeditions. The result? Again: very red. The next year, with the global financial system teetering on a precipice and Pimp My Ride wearing out its welcome, Ford decided to go all-in and put the Funkmaster Flex Expedition into production. 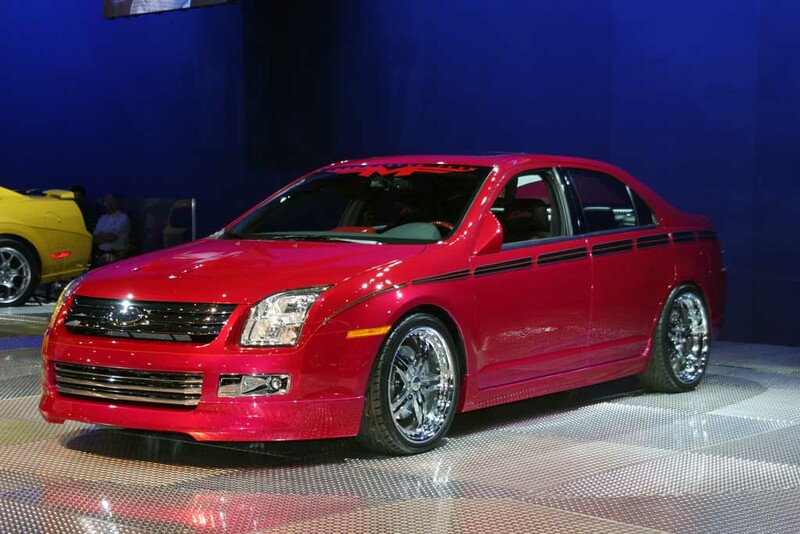 The limited-edition debuted at the New York Auto Show that spring, and finally hit dealer lots in late 2007. Only 650 two-wheel-drive, short wheelbase Expeditions were given the Hot 97 treatment, complete with a two-tone red-and-black paint job (surprise), new side skirts and bumpers, black leather seats with red stitching, red-accented interior panels, and 20-inch chrome wheels. Nothing special under the hood beyond that 5.4-liter V-8, unfortunately. The center console lid bears the production number (#488 here) and a reproduced autograph—in case the "FMF" embroidered into all the headrests didn't tip you off. It was intended to be the first of several "custom" production vehicles developed through the Ford-Funkmaster partnership, but a little thing called the Great Recession came along and screwed up everyone's plans. Perhaps that's why the seller thinks they'll be able to get over $20,000 out of a ten-year-old, two-wheel-drive SUV, relatively low mileage notwithstanding. As for Funkmaster Flex? Don't feel bad for him—he's still on the radio, and as of 2015, still rocking #001 as his daily driver. Ford's midsize sedan is a hit with the CR folks.